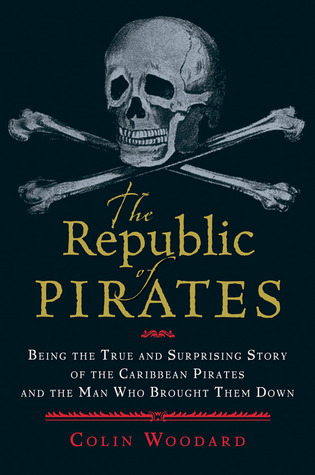 The Republic of Pirates is an extensively researched account of the Caribbean's golden age of piracy in the early 1700s. Woodard details the lives of some of our history's most infamous pirates -- including Blackbeard, Sam Bellamy, Charles Vane, and Anne Bonny -- and those tasked with taking them down. By crafting a narrative of piracy based only on historical sources, this book succeeds in countering myth with fact while still thrilling readers with sea battles, shipwrecks, and daring captures. Quote:“On September 29, as they closed on her at the Capes of Virginia, Blackbeard donned his new, terrifying battle attire. He wore a silk sling over his shoulders, to which were attached 'three brace of pistols, hanging in holsters like bandaliers.' Under his hat, he tied on lit fuses, allowing some of them to dangle down on each side of his face, surrounding it with a halo of smoke and fire. So adorned, a contemporary biographer reported, 'his eyes naturally looking fierce and wild, [that he] made altogether such a figure that imagination cannot form an idea of a fury from Hell to look more frightful.' The crews of merchant ships would take one look at this apparition, surrounded by an army of wild men bearing muskets, cutlasses, and primitive hand grenades, and would invariably surrender without firing a shot. That was exactly what Blackbeard intended." Author: Colin Woodard is an American journalist and author. His books include American Nations: A History of the Eleven Rival Regional Cultures of North America, The Republic of Pirates, and The Lobster Coast. He lives in Maine, U.S.
Disclosure: Read the World receives a small commission for items purchased through the above links. Any revenue generated contributes directly to the cost of running this site.